April is one of the best months to be a fly angler. 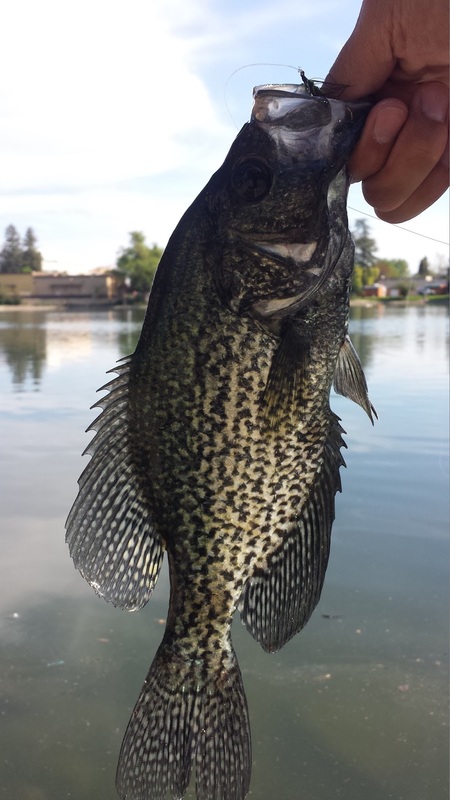 Both warm-water and cold-water species are active which means you can target either species effectively. Ellis Lake has been my hot-spot where I have been fishing for largemouth bass. I also tried fishing for stripers on the Feather but was reminded how boring and unproductive bank fly fishing is for this species. The largemouth in Ellis Lake are pressured all year around which makes them quite finicky and difficult to catch. 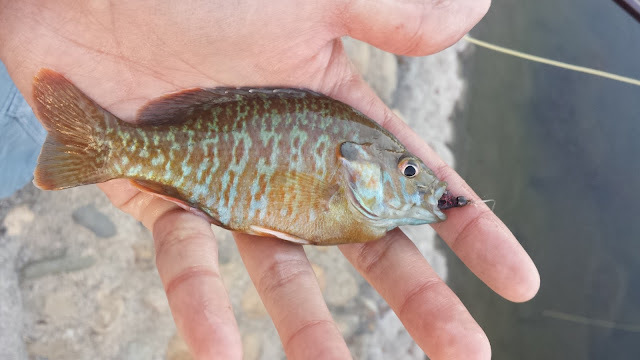 I find that in the beginning of the spring when the fish are in spawning mode, the best tactic seems to be drop-shotting flies that sink very slowly. Being able to fish weightless flies gives me a huge advantage over the gear guys. Finding the right fish was the key to hooking up. There were some fish that were more willing to eat than others. Most of the fish I caught I'm guessing we're males because they were smaller than the big girls that I found; they are always a good fight on a 3WT though. The fat females that I saw came up to my sinking fly but just as soon as my heart started pumping thinking the bass would bite, they swam right pass my fly. Despite catching no true biggies, largemouth bass are 100x more fun to fight on a fly rod. Every bass I hooked jumped and pulled as hard as they could. 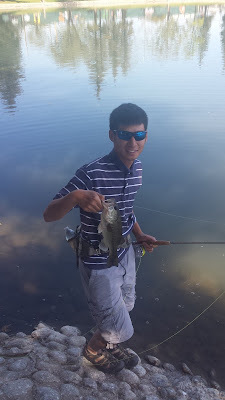 Jumping largemouth bass are hard to come by on a spin or baitcaster rod because it takes 10 seconds to land them. Good luck trying to haul in a pissed off largemouth on a fly rod. Let them fight. 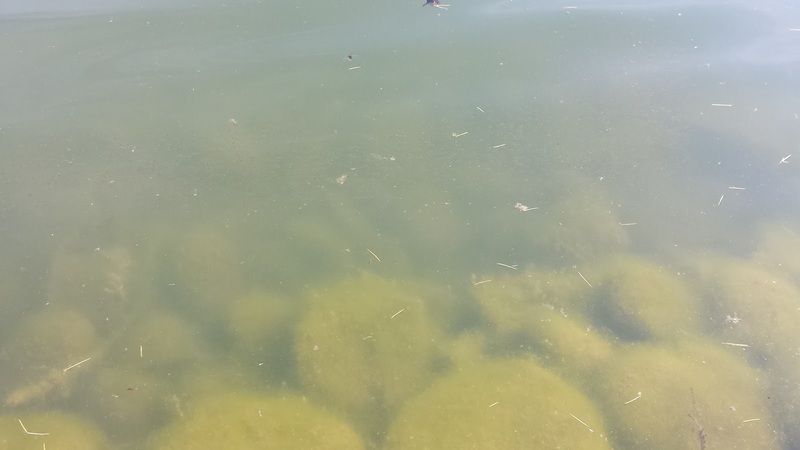 Can You See The Bass Fry? Bluegills and carp were also out on the lake with the latter begin nearly impossible to catch. It's tough to ignore 10# - 20# fish that are cruising the bank just below the film. 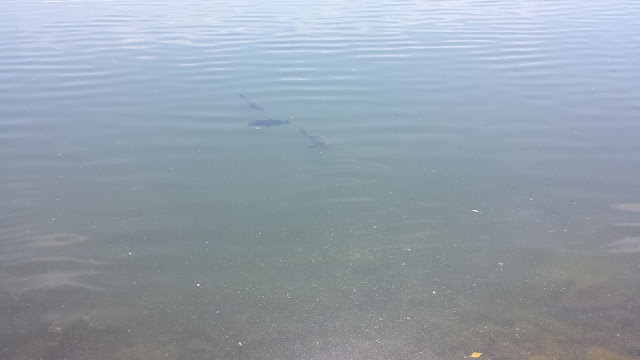 I found some tailing carp but after throwing my fly box at them, no takes, none, nada, zip. 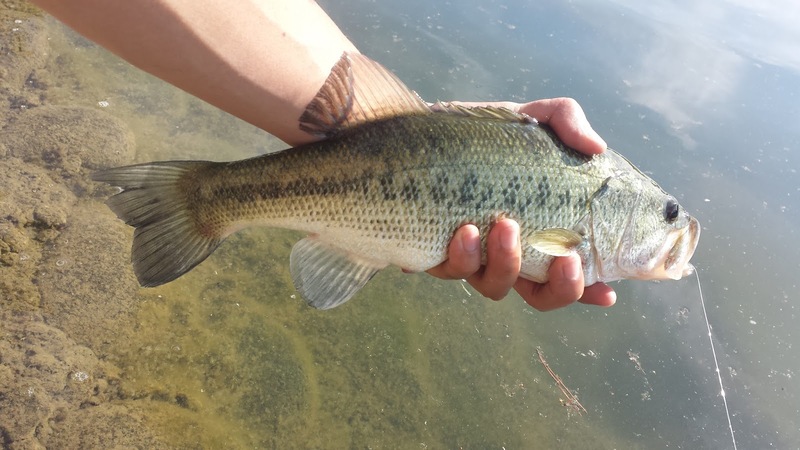 I found that windless days in the afternoon are the most productive time to catch these largemouth. For some reason they are less likely to bite as soon as the sun hits 5pm. 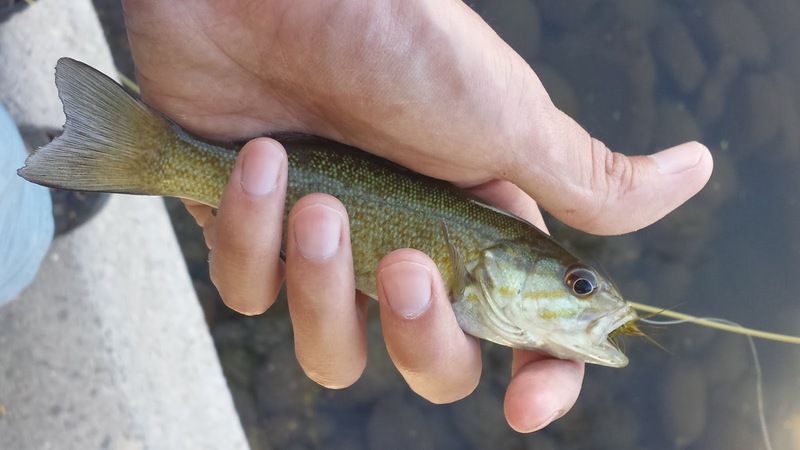 It is also interesting to note that the bass out in Ellis rarely eat reaction flies like clousers in the spring. The bluegills and sunfish tend to become more active during the low light hours eating just about anything you throw at them. One day after work this week I tried to find some striper action. From social media it seems that they are being caught all over the Feather and targeting them would give me an okay chance at hooking one. After trying for a couple of hours using clousers and covering all the water that I could, I can conclude that I hate striped bass fishing from the bank. One day when I have a boat I will focus on catching these black and whites but for now I will leave them be. Instead I caught a little smallmouth. Love it. I just had a great warm water trip myself. Right on Tom! Nothing like mixing it up a bit in the spring.